Equally Fast improved as the season progressed in 2015 and can continue his upward curve on his return to action at Lingfield. The William Muir-trained four-year-old is named to be a sprinter and as a son of dual King’s Stand winner Equiano, he is bred for the job, too. He showed up well as a juvenile, particularly when hitting the bullseye at Wolverhampton, and appeared to get better with racing at three, which is not uncommon as sprinters learn their trade. Following a string of placed efforts, Equally Fast was not winning out of turn when striking gold on his penultimate start at Windsor, after which Muir indicated there was plenty of scope for improvement if he could improve his behaviour in the starting stalls. He looked to have done just that on his most recent appearance at Ascot in October, making the most of the running before giving way close home, but that was still a cracking effort in good company. 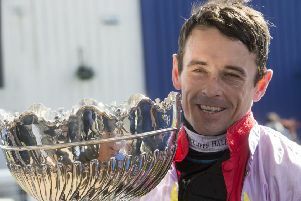 If he picks up where he left off and gets off to a flyer, he could be hard to peg back in the Unibet Offer Daily Jockey/Trainer Specials Handicap. Planetoid can claim a fourth course win in the Lingfield Park Handicap. Jim Best’s Galileo gelding has won three times at the Surrey circuit and was only narrowly denied on his latest visit in December 2014. He has made just two competitive appearances since, but looked in good heart when winning a handicap hurdle at Plumpton in February, having been off the track since the previous April. Planetoid looks feasibly treated on his return to all-weather racing and a bold bid looks assured. Semana Santa should get off the mark in the Like Us On Facebook Wolverhampton Racecourse Median Auction Maiden Stakes at Wolverhampton. David Barron’s filly shaped with abundant promise when third on her racecourse debut at Southwell a couple of weeks ago and was not knocked around when it was clear victory was out of reach. An extra furlong might be a help and this race will not take much winning. With prohibitive odds likely, Semana Santa can be doubled up with Rasasee, who is a pea out of the same pod and has similarly strong claims in the Name A Race By Calling 01902 390000 Maiden Stakes later in the evening. Newbury punters should look no further than Hell’s Kitchen in the opening AJC Premier Novices’ Hurdle. The JP McManus-owned five-year-old caught the eye when placed behind the high-class Wait For Me on his jumping bow at Kempton and confirmed that promise when successful over this course and distance next time. This is a better race, but Hell’s Kitchen gets the nod under Barry Geraghty, who is riding out of his skin. Here I Am should go well in the chancelloroftheformchecker.net Handicap Chase at Fontwell, while Betameche rates the best bet in the concluding Family Fun Day - Sunday 17th April Standard Open National Hunt Flat Race at Wetherby.